Gamers are an interesting lot. Some of them are even willing to starve when it comes to saving up for the latest gaming peripherals, to make sure that they are able up the ante when it comes to the next fragging session. I know this to be true, as back in my poor student days (and this is not to say I am filthy rich right now), I used to skip meals just so I can get better in a particular game, not to mention save up for the next Razer mouse that is announced. Having said that, a good keyboard is also an essential part of any gamer’s repertoire, and the Feenix Autore could very well fit the bill for those who are aiming for something higher end than normal. The Feenix Autore is a keyboard which was specially designed after being inspired by Stanley Kubrick’s monolith in 2001: A Space Odyssey. In fact, at first glance, the Feenix Autore might not even look like a gaming keyboard as the world knows it – there aren’t any fancy lines and designs which “shouts” to the viewer. Rather, the Autore comes across as a minimalist tool which will be able to meet the needs of aggressive gamers as well as typists. 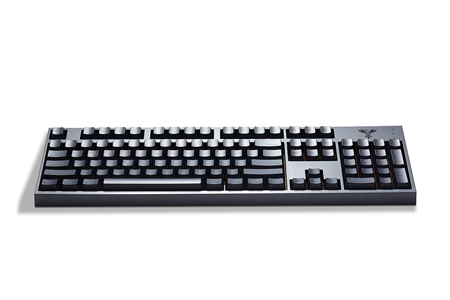 The lightweight keycaps with cherry MX Brown switches will be able to deliver an effortless click and tactile response, while Feenix font and aluminum coating ensures that the keyboard’s surface remains elegant and durable most of the time. There is also a subtle upward angle that delivers optimal wrist comfort, while a gold metal plate which will run through the length of the chassis offers an unprecedented level of durability. The Feenix Autore would also boast of a HAL-approved gold plated modular mini USB to USB connection alongside an optional PS/2 adapter for older machines. It has a double Polyurethane layer thrown into the mix to make sure it remains safe and sound against spills and beverage damage. The entire keyboard would retail for $163 in case you are interested.